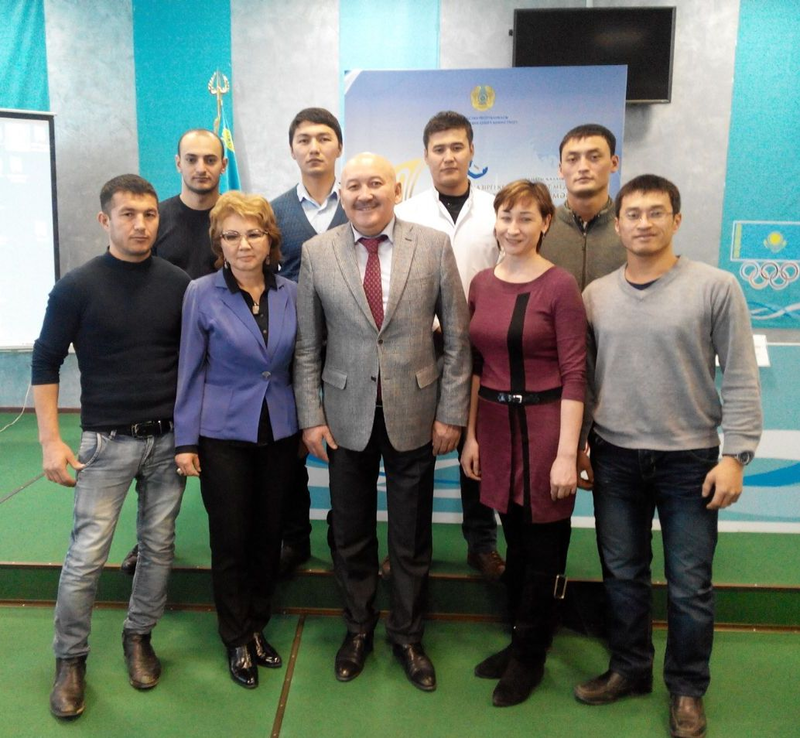 Module «Sport medicine» form in October, 2014 on the order of chancellor КazNMU.С. D. Asfendiyrov. , doctor of medical sciences, professor of А.А. Аcanov for preparation of residents on speciality «sport medicine» in accordance with the state standard of education. The module is based presently in «Center of sport medicine and rehabilitation». Preparation of residents on «Sport medicine» was begun on a department «Clinical pharmacology, LFK and physiotherapy» in 2010 in КazNMU the name of Asfendiyrov. The program on preparation of «sport doctors» in resedent includes next disciplines: sport medicine, sport surgery, sport traumatology, , obligatory profile and contiguous disciplines, components on a choice, situatioonal tasks, tests, specialized questions included in border control and state attestation. At passing of educating in resedent on sport medicine residents render medicare to the sportsmen, participate as sport doctors on the sport competitions of international and republican level : Аziada (2011), world Cup on weightlifting (2014 year), Winter Olympiad in Sochi (2014 year) and on other events. The teachers of the module take part in development of normatively-legal base in area of sport medicine, in scientific researches in composition working groups, research laboratories on a physical culture and sport, in clinical analyses and concilia, in a discussion at the acceptance of collective decision for participation and performances of highly skilled sportsmen on international competitions, actively advise the sport doctors of olympic commands on preparation of sportsmen. Professor of Кasymova G.P. conducts active work on development of sport medicine in РК with profile departments in I ММИ им.М. И. Sechenov (Russian FEDERATION, Moscow), North is Western State Medical University of the name И.И. Mechnicov (Russian FEDERATION, Saint Petersburg ). 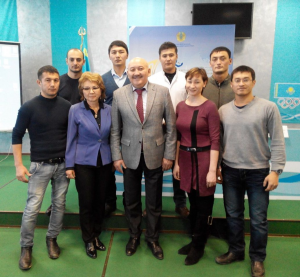 Teachers of the module at the head with Кasymova G.P.conduct active work on attestation of sport doctors and providing of methodical, and practical help to the sport doctors in Kazakhstan according to «Memorandum» between «Confederation of speed power types of sport and east single combats» (КССВСиВЕ), signed by president КССВСиВС Мucaibecov of С.. (now by vice-minister of Ministry of culture and sport РК) and by a chancellor КazNMU.С. D. Asfendiyrov — д.м.н.,by professor Аcanov А.А. Teachers of the module of «Sport medicine» are the organizers of numerous conferences on sport medicine (Astana, 2012; 2013г. ; 2014г.) and participants of international conferences on sport medicine (Г.Санкт-Петербург, 2013г. ; 2014г. ; Samarkand, 2014г.,) of and other. Professor of Кasymova G.P. member of editorial college of magazines : «Sport medicine: a theory and practice» (Russian FEDERATION, Moscow), «Social hygiene, management by a health protection and history of medicine» (Russian FEDERATION, Moscow), are the member of the Co-ordinating council (Astana) of sport medicine, created at Ministry of culture and sport. The teachers of the module accept active voice in helping to the practical health protection in area of sport medicine on educational technologies and pressing questions of sport medicine. Published: one monograph, more than 80 scientific works, 6 methodical recommendations, 6 testifying to intellectual property . 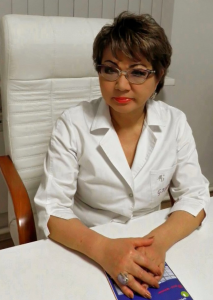 State of the module : leader of the module «Sport medicine» is a doctor of medical sciences, professor, doctor of higher category on sport medicine of Кasymova G.P.., assistant is Uzbayeva A.M., laboratory assistants of Kynyrbekov. B .; Syrymbek. R. Presently 10 residents study on the module.